Yes, it happened. 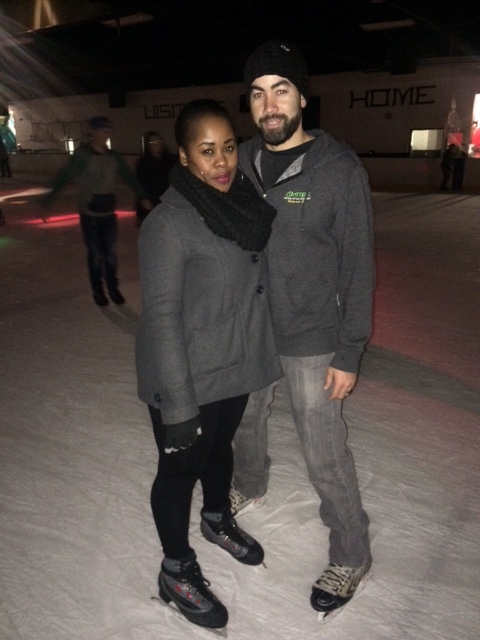 We finally went ice skating during the holidays. 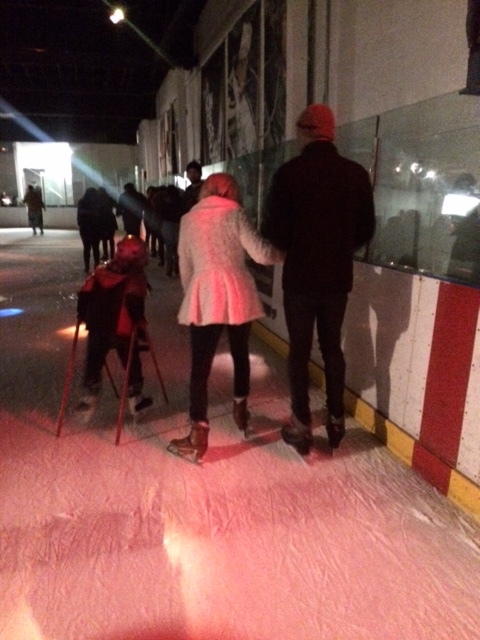 Yes, I railed it for the first couple of times around the rink and then I saw my mom zip by me and got enough courage to tread without a safety net. Brian was so great at skating, he whipped and zipped by everyone and of course, came up behind me to scare me a couple of times. Stan played it safe and hung out by the rail but eventually he ventured out into brave territory and danced a little bit. When the burning in our legs finally slowed us down, we called it a night. 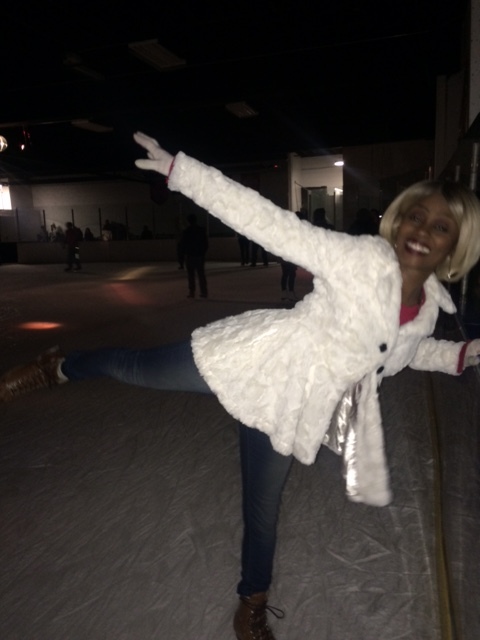 I had a blast and it really made my Christmas holiday feel like the holidays. Now it's January and everything is fresh and new. Resolutions are booming and people feel like time has slowed down again. I, for some reason, feel like it's still going by so fast so I am trying to make each day count. My resolutions aren't just for January, they're for the whole year. Happy New Year My Fellow Aliens!